We Robot 2012 is a new conference organized by the University of Miami School of Law. They are seeking contributions by academics, practitioners and industry. I was amazed by their interest in determining liability in the event of destructive unconscious mental commands. 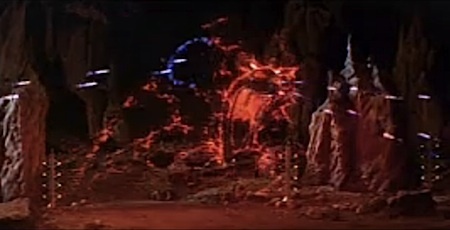 I wonder if one of the conference organizers had been influenced by the 1956 movie Forbidden Planet, in which a scientist unwittingly gains mental control of the vast Krell technology, wielding it unconsciously with devastating effect.